is a non-profit organisation sponsored by the Government of Amsterdam. We dedicate to providing an inspiring learning environment for students in the local community to learn the Chinese language as well as the culture. Our mission is to prepare students to be successful international talents ready for the demands and challenges in a changing society within a global setting. We motivate students to reach their full potentials by providing a professional, diverse and caring education. 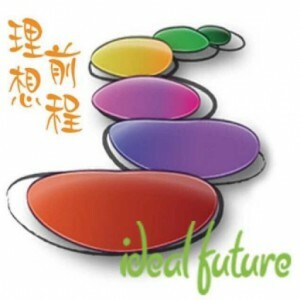 IdealFuture caters for the needs of native Chinese speaking students who temperately live in the Netherlands and ensures continuity of their Chinese education. We also offer classes oriented to non-Chinese native speaking students who have the needs to learn Chinese and Chinese culture either out of a personal interest or professional development. Our vision to iDealFuture is to create and nurture a learning community. Which provides a professional, dynamic, exciting and interactive environment, with enhanced opportunities for language practice ability development; Where children are encouraged to directly and correctly use language and culture knowledge for their own learning; Which builds meaningful relationships with the community – within the school, locally and globally. Our teaching team is composed of qualified teachers with education and/or linguistics academic background and experiences learning abroad. Many of them hold a Master degree in education or linguistics. They are teaching professional in terms of expertise as well as rich experience. They have gained the A level in the Chinese language test for native speakers and most of them hold a teaching certificate.